The seventh round of the Syria peace talks will begin on July 10 in Geneva which will be convened by the UN special envoy for Syria, Staffan de Mistura. Violence and persecution in places like Syria and South Sudan have displaced a record 65.6 million people worldwide who are either refugees, asylum seekers or internally displaced, the UN refugee agency said in June. In the meanwhile, the UN Human Rights Council (UNHRC) adopted yet another resolution on Syria in its latest session in June condemning war crimes and crimes against humanity in the war-ravaged country. While ISIS – the UN-designated dreaded terrorist group operating in Iraq and Syria – is being choked out of most Syrian territories, civilians continue to pay a huge toll in the battle with its many players including the US-led international coalition, Russia which backs Syrian president Bashar Al-Assad, Iran with its Hezbollah fighters and multiple so-called armed rebels and terrorist groups like the Al-Nusra Front. UN war crime investigators told the UNHRC in May that at least 300 people were killed in a US-led air strike on Raqqa (the ISIS capital city). Additionally, Human Rights Watch has alleged that the US-led coalition has used incendiary white phosphorus weapons while fighting ISIS, endangering the lives of thousands of residents. Only one UN humanitarian aid convoy – the lowest number since 2011 – has entered Syria this year. World Food Programme (WFP) delivered food for the first time in June to displaced families in seven hard-to-reach areas in Raqqa and Deir ez-Zor governorates in northern Syria, where regular deliveries of humanitarian assistance have been suspended for more than three years due to conflict and besiegement. Meanwhile, tensions ride high, yet again, between Russia and the US after American forces shot down a Syrian regime Su-22 fighter jet – the first time since 1999 that a US warplane has downed a manned aircraft. Russia called this “an act of war” vowing to retaliate and has pulled out of an agreement intended to avoid mid-air clashes over Syria. 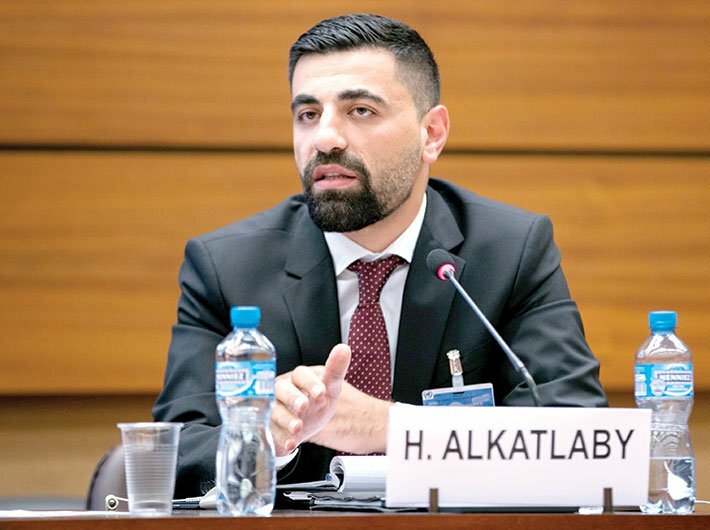 Husam Alkatlaby is the executive director of the Violations Documentation Center (VDC), a Syrian organisation founded in June 2011 and based in the Netherlands, with a mandate to ensure the full and independent documentation of all violations of human rights in Syria. He speaks with Shreerupa Mitra-Jha on the current state of affairs in Syria. A conservative estimate by VDC suggests that at least 2,50,000 Syrians have been killed in Syria since the start of the war. He says that no party having an interest in Syria, international or domestic, has considered saving Syrian lives as an important factor in this brutal war. He is not optimistic about the July 10 talks and says that “we are very far from a solution right now”. A former Aleppo resident, he thinks it will take at least ten years for any real solution to come up for the future of Syria. Here are edited excerpts from the interview. How do you collect data and evidence from the Syrian battlefields? We are a human rights organisation and our mandate is to collect and document related information from all sides. We now have 35 employees and 25 of us are based across Syria, both in opposition areas and regime areas. Our team on the ground gathers information, interviews victims and families, prepares testimonies and takes photos and videos, if that is possible. After collecting the information, it is sent to an expert outside the country who looks at the data – we have an expert from every province of Syria who has an international law and human rights law background and who is aware of what is happening. We then enter the data in our secure database. Most of us here [in the Netherlands] are in the finance, advocacy, administration or media team, and we are not directly working on the ground. We are also based in Turkey, Egypt, London and Sweden. Are you apprehensive that the current volatile situation between the Russians and the Americans after the shoot down of a jet over southern Syria, will take more civilian lives? Absolutely. No party – Russia or the international coalition – has taken into consideration civilian lives. They did not prioritise this on their agenda. It is very clear to us that, unfortunately, the fight against terrorism has the same nature as terrorism – targeting the civilians is not a big issue for the terrorists or the parties fighting them. We lost many lives in Raqqa and Deir ez-Zor due to air attacks from the international coalition. We believe that they could have taken that [civilian lives] into consideration and still targeted ISIS facilities. But isn’t ISIS holding civilians as human shields and killing people who are trying to escape? So how does the international coalition separate these categories of people? We are not surprised by what ISIS does. What surprised us is what the international coalition has done. We can expect the worst from ISIS. They don’t respect the international humanitarian law or the human rights law. But we can expect from the west, the international coalition, that they respect civilians. So, yes, ISIS is using civilians as a weapon in this war but how does the international coalition deal with this? What do they do to avoid making civilians the target all the time? We notice that they have not made a lot of efforts in this regard. There were reports that the US used white phosphorus weapons in crowded civilian areas like Raqqa. Actually, it has been reported two times – in Raqqa and Deir ez-Zor. Coming from an organisation which has been covering Syria for a long time, what do you know about ISIS, for instance, of its governance structure? We know less about them compared to what we know about other parties because ISIS is very closed and conservative about information dissemination [related to them]. The most difficult areas to work in now are the ISIS areas. We can have reporters and documenters undercover in opposition and government areas but it is difficult to have a professional, good reporter in ISIS areas. But there is something very clear that ISIS wasn’t there in Syria before 2013. ISIS was in Iraq. How they became ISIS was after the American war in Iraq. And most of them became members after the pacification process. They have the propaganda to bring foreign fighters from Europe and from different countries. The first party to fight ISIS was the Free Syrian Army (FSA) who were the opposition-armed groups fighting the Assad regime. They were in Deir ez-Zor and Raqqa and when ISIS came to that area they [FSA] could not make any partnership with them because of the nature of the organisation. They [ISIS] have their own projects and goals which are totally different from the Syrians who took to the streets to demonstrate in 2011 and, from the goals of the FSA – I don’t want to say ‘army’ because they are not an army, but armed-opposition groups. That’s all we know of this organisation. And most of our friends from civilian organisations, who are active in humanitarian aid, media work or in local councils in Raqqa and Deir ez-Zor, were killed, arrested, or had to escape because of ISIS. They destroyed all the human resources of the Syrian revolution. What do we know about the moderate opposition? Even Russia has now accepted them as a group having a stake in Syria. Would they be willing to have Bashar al-Assad as part of the political solution? Some can deal with Assad being part of the transitional period while most cannot accept Assad in the future of Syria. For us and for them, and for any human being, [the best course] is to not accept any perpetrator or person, who has committed war crimes, in the future of Syria. It makes no sense to have these war criminals in the future of the country. This is my personal opinion as a Syrian and as a human rights defender. They [the opposition] have no clear vision of the future. And they can’t decide what they are going to do. They see that Russia is a big actor now in Syria and they are going to meet Russia at some point. But how much do they believe in what they are going to do and what they are doing right? What are your expectations of the Geneva talks scheduled to begin on July 10? The political process did not have the international will for a political solution. And without that, it will make the mission of [Staffan] de Mistura very difficult. I can see that all the upcoming negotiations in Geneva is kind of wasting time and giving wrong hope to the people about what happens in Geneva. And they didn’t make any efforts to measure the expectations of the people in Syria. I am not waiting for a big outcome from the upcoming ground of negotiation. And I can see that there is no major pressure on Assad and if that doesn’t happen then he will not get any solution. There is one goal for Assad now – to stay in power. And this is far away from finding a middle solution. It makes no sense that after almost seven years of what happened in Syria, to give Assad the agreement that he can stay and continue giving power to his son in the future. Since the beginning of this year, only one UN aid convoy has been able to get into Syria. How many areas, according to you, are currently besieged by both the government and the rebels? Now there is no besieged area by the opposition-armed groups, after Daraya, Fouaa and Kefraya. Now, it is not only the areas that are besieged, some of them are very difficult to reach of which there are seven and some of them are totally besieged of which there are seven [again]. No food or medicines are getting in there except for one in Homs recently and, for the rest, it’s more than 45 days without any [humanitarian aid]. And this is the longest that people have been without humanitarian aid since 2011, correct? How many people have been killed in Syria, according to your data? We have a very strict methodology in determining who died. According to our database, 2,50,000 people have been killed. This is the number of people about whom we have all the information – their names, where they were killed and all the data about them. And there are unknowns, whom we cannot use in mentioning the number of killed people. So what is the situation now, for instance, in terms of human rights abuse? What do your volunteers see on the ground? The bulk of the Syrian people have left the country somehow, as refugees to bordering countries or outside. Most of the infrastructure is destroyed. There are cities that are destroyed totally like Deir ez-Zor, Raqqa, parts of Aleppo, Ghouta and Daraa. And there are hundreds of thousands of people being killed. And rest are being arrested or killed under torture. So it’s totally clear for me that there is no future for Syria with this regime which is totally committed to the worst war crimes in Syria. I am not saying that others are not committing war crimes but there is no comparison. Maybe they didn’t have the power to do the same war crimes. The fact is that you cannot compare the war crimes of the Assad regime to any other party, even international parties or the opposition-armed groups. Any political solution is not taking into consideration justice or the future of the families of the victims. They didn’t have a chance to leave or build a future. I don’t see that any of the subjects being negotiated in Geneva are related to the real issues or will be close to a real political solution and we don’t see any international will to support a real political solution for Syria. We are very far away now from any solution. I don’t see in the upcoming ten years, any real solution for these people. The Syrians need to continue struggling against the different parties – ISIS, Assad regime, Russia, Iran, Hezbollah and Al-Nusra. There are many enemies and no real friends.